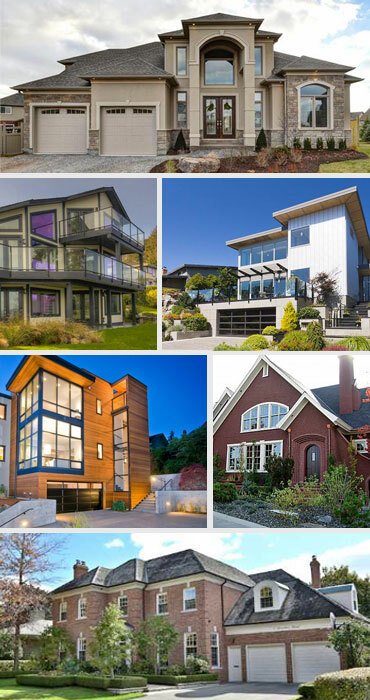 Here you can see the very best estate and luxury homes the city of Calgary and surrounding areas have to offer. Ranging from historic homes in the oldest communities of Calgary to brand new homes on huge acreage lots west of the city, Calgary has a vast array of home styles to please every discerning home buyer. Here you can easily browse through the best homes currently available on the Calgary real estate market. Located in south west Calgary and nicknamed by many as the "West Side" or "West Hills" area, Aspen Woods is one of Calgary's most desirable communities to live in. Established as a neighbourhood in 2001 on land annexed by the city in 1956, Aspen Woods is popular due to the easy commute to Calgary's inner core and downtown, as well as for the easy western exit, making it fast and easy to visit the mountains for hiking and skiing. Aspen Woods has a strong family focus, and is a great community to bring children up in. The area features a vast selection of private schools easily within walking distance. Bordering on the beautiful Elbow River Valley in south west Calgary, Discovery Ridge offers sweeping views of the western foothills and Rocky Mountains and convenient access to the amenity-rich area of Aspen Woods and Downtown Calgary. Discovery Ridge borders Griffith Woods Environment Park, with over 93 hectares of natural woodlands and maintained multi-use trails for walkers, cyclists, and rollerbladers. Nearby are The Signal Hill and Westhills shopping centres, and the Westside Recreation Centre, which features world class fitness equipment, an indoor track, a wave pool and lap pool, a water slide, rock climbing, a gymnasium, hockey arena, and recreational skating rink. Located along the Elbow River, the south west community of Elbow Park is one of Calgary's oldest communities, and is a mere 3 kilometres from downtown. Annexed in 1907, many of the area's original historic homes remain in good condition or have been extensively renovated to maintain their original character. The community offers easy access to many services and shops, including restaurants, shopping, schools, and entertainment venues. In addition, Elbow Park is near River Park, Stanley Park, and is linked in to the city's extensive trail system. The Elbow Park Community Centre provides local residents with a creative playground, two hockey rinks, a recreational rink, baseball diamond, basketball courts, and tennis courts. The Centre is well known for its extensive hockey program, and is home to the Elbow Park Minor Hockey Association. Both Hillhurst and West Hillhurst are located in the north west portion of Calgary's inner city, along the north bank of the Bow River. Original a farm owned by the prominent pioneer family Riley, the area was annexed in 1907. Development took off in 1945, and during this time a number of Victory Homes were built for returning soldiers, many of which still exist in this area today. The community is a lively mixture of older homes and infill developments, and Hillhurst's close proximity to Calgary's downtown makes this a popular area, especially with the C-train link and the new footbridge across Memorial Drive connecting this neighbourhood to downtown. Hillhurst is close to SAIT, the University of Calgary, and the Alberta College of Art. The local Community Association is active and provides many recreational programs for youth and adults alike, including Boy Scouts, Girl Guides, fitness drop-in programs, martial arts, and the Canskate youth skating program. During the early 1900s, Mount Royal was promoted by the CPR as an exclusive neighbourhood for Calgary's affluent residents, and developed rapidly between 1904 and 1914. This exclusive character of the community has been maintained over the years. The Lower Mount Royal area was annexed into Calgary in 1907: most of the homes here were constructed during Calgary's 1910-1912 building book, and the area swiftly gained a reputation as an exclusive residential district. It has been home to many of Calgary's elite over the years, including Colonel James Macleod and the A.E. Cross family. This community features a large portion of the city's historic residences, give this area a lot of character. The community of Springbank Hill is located on the western edge of Calgary, bordered by 17th Avenue to the north, Glenmore trail to the east, 69th Street SW to the south, and Stanley Trail to the west. The community was annexed from the municipal district of Rockyview in 1994, and has been undergoing continuous development. Springbank Hill is one of Calgary's largest communities in terms of land area, and offers panoramic views of the Foothills and the Rocky Mountains. There is fast and easy access to major amenities and shopping facilities, and the community has a wide diversity of land usage, ranging from acreages to new single detached residences and multi-family housing. West Springs is a residential neighbourhood in the south west quadrant of Calgary. It is located at the western edge of the city, and is bordered to the west by the acreages and estate homes of Springbank. To the east it is bounded by 69 Street W, to the south by Bow Trail, and to the north by Old Banff Coach Road, as well as the community of Cougar Ridge and Canada Olympic Park. West Springs is just a 15 minute drive to downtown Calgary. Bearspaw is a rural community in southern Alberta within Rocky View County, consisting mostly of country residential acreages with easy and efficient city access. Both the Stoney Trail ring road and the C-train expansion means Bearspaw offers an array of rural homes just minutes from all the amenities within the city of Calgary. This is a highly desirable area because of the excellent schools and lifestyle. The Bearspaw School has earned a reputation for embracing community involvement and leadership. Find happiness on the golf course or discover surrounding Provincial Parks for walking, hiking, skiing, biking and so much more. Springbank is a rural community in southern Alberta, located in Rocky View County. It is located immediately west of the City of Calgary, and both the Trans-Canada Highway and Lower Springbank Road connect Springbank to the city. It is a wonderful escape from the busy city, consisting mostly of country residential acreages developed with estate homes. The adjacent rural communities of Bearspaw to the north across the Bow River and Elbow Valley to the south also consist of mostly country residential acreages. Eastern portions of Springbank have been annexed by Calgary since the early 1980s, and these portions are now developed as Sprinkbank Hill, Aspen Woods, West Springs, Cougar Ridge, Crestmont, and Valley Ridge. Amenities of this unique community include a brand new aquatic centre for family fun all summer long.